Dr. DeRolf, or Dr. "D" as many call him, is a graduate of Virginia Tech and the first class of the Virginia Regional College of Veterinary Medicine in 1984, and has been practicing in the Roanoke Valley ever since. He enjoys the challenges of surgery and medical diagnostics more now than ever, and is committed to service in this community. When he's not working, he spends time with his wife and three kids. They share a home with a sweet Sheltie and a rescued cat named "Coco". Dr. D enjoys distance running (picture Forest Gump meets Pee Wee Herman), reading, cooking (Indian, Thai), Buffett tunes and Latin beats. He is convinced he is allergic to snow and has a palm tree deficiency. Dr. D enjoys his wonderfully eclectic staff, and appreciates folks who use their heads, think outside the box, work hard, and have fun doing it. He is an excellent driver, practices the Golden Rule whenever he can, and expects to live forever. So far, so good. Dr. Metrey has a Bachelor of Science degree in Animal Science from Virginia Tech. 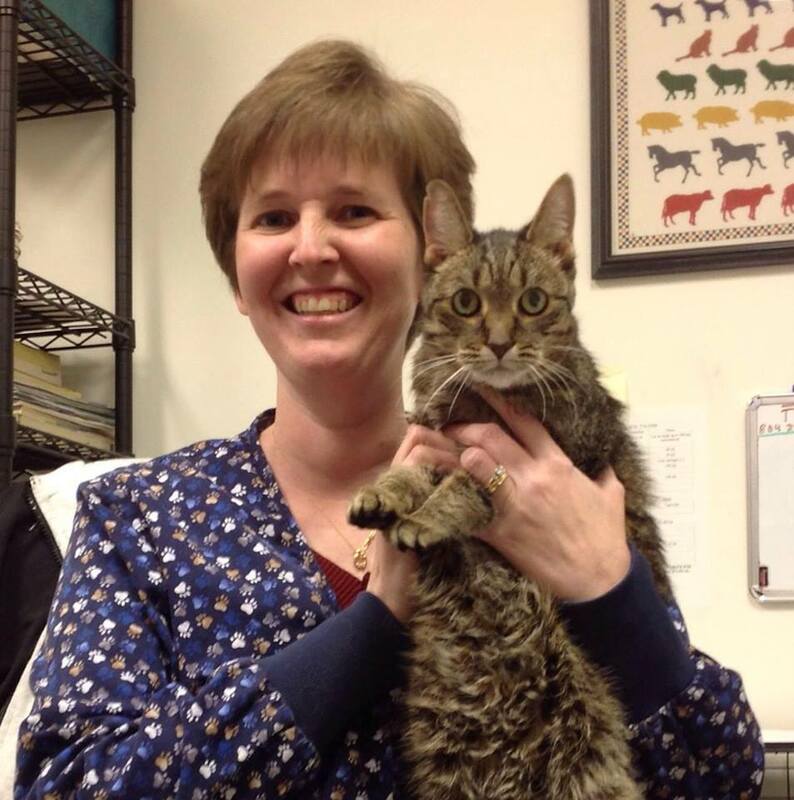 She received her DVM from the Virginia-Maryland Regional College of Veterinary Medicine in 1999. She joined DeRolf Animal Hospital in 2008. Dr. Metrey spends her free time with her husband and kids. She currently has one dog ("Annie") and four cats ("Luxo", "Peter Pan", "Ciki" & "Ohana"). Dr. Smith completed her undergraduate studies at the University of Delaware and graduated from VMRCVM in 1998. She began working at DeRolf Animal Hospital in 2008 and resides in Salem, VA with her husband and 3 children. Dr. Smith's family also includes one horse, one Golden Retriever, one Labrador Retriever, one English Mastiff, one cat, twenty chickens, one turkeys, two ducks, and one gecko. In her spare time, she enjoys horseback riding, painting, drawing, sewing, gardening, reading and baking.